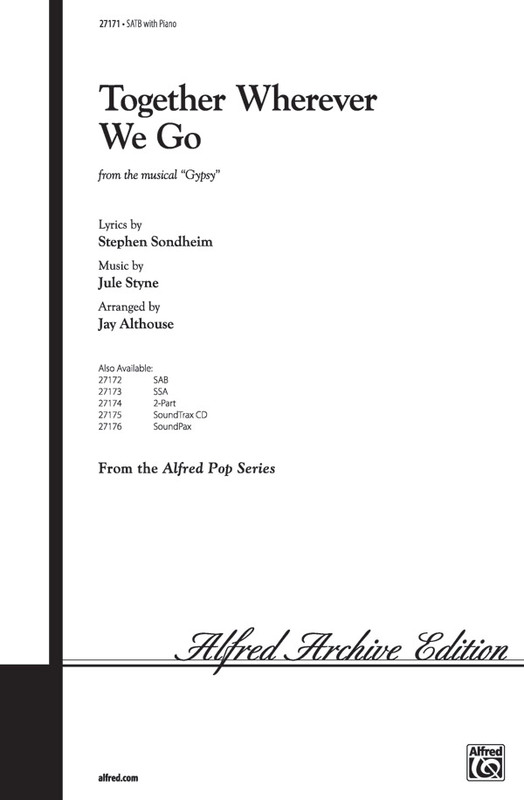 Gypsy is a 1959 musical with music by Jule Styne, lyrics by Stephen Sondheim, and a book by Arthur Laurents. Gypsy is loosely based on the 1957 memoirs of Gypsy Rose Lee, the famous striptease artist, and focuses on her mother, Rose, whose name has become synonymous with "the ultimate show business mother." 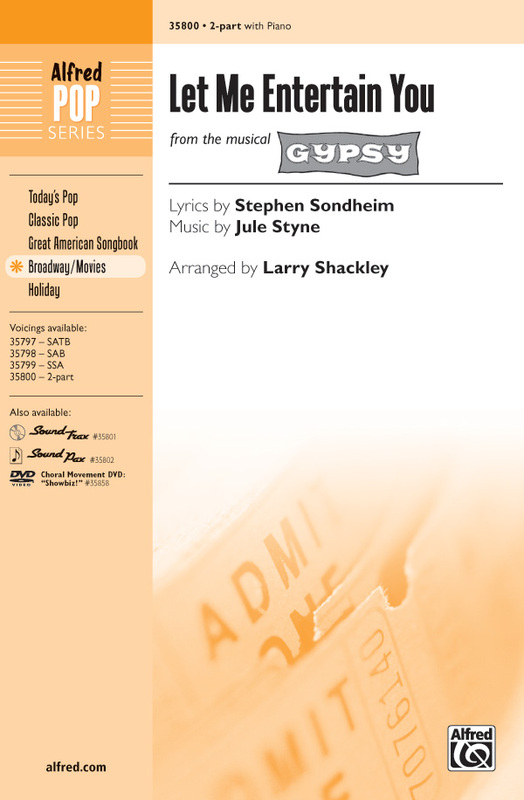 Our Vocal Selections songbook is a great collector's edition celebrating the latest Broadway revival of Gypsy, starring Bernadette Peters. 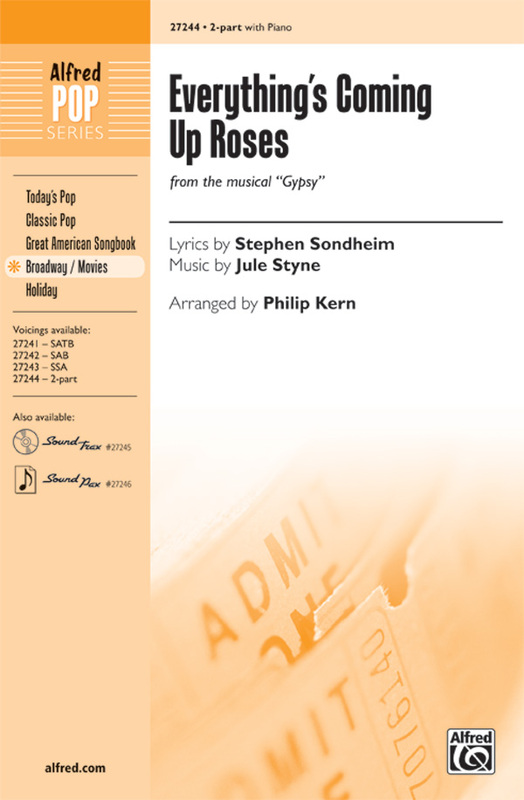 In addition to piano/vocal/guitar arrangements of 11 fantastic songs, you get a history of the past stage and screen incarnations the show, listing opening dates and locations, as well as principal cast members, directors and choreographers. 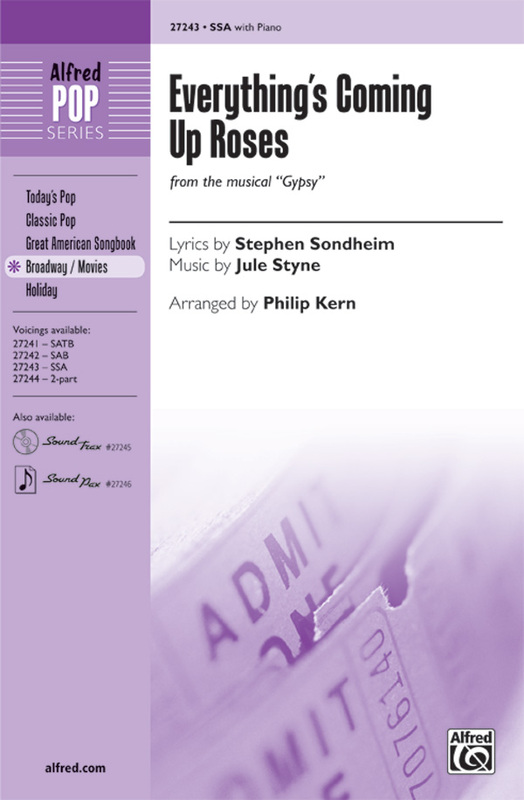 Songs: All I Need Is the Girl - Everything's Coming Up Roses - If Momma Was Married - Let Me Entertain You - Little Lamb - Rose's Turn - Small World - Some People - Together Wherever We Go - You Gotta Have a Gimmick - You'll Never Get Away from Me. 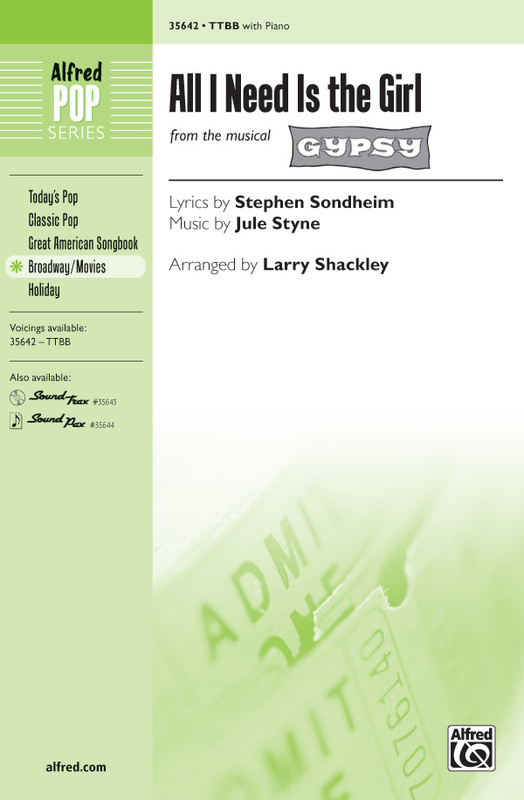 It's the ultimate "friends" song from the musical Gypsy, arranged in an accessible style for today's choirs. "Wherever we go, whatever we do, we're gonna go through it together." 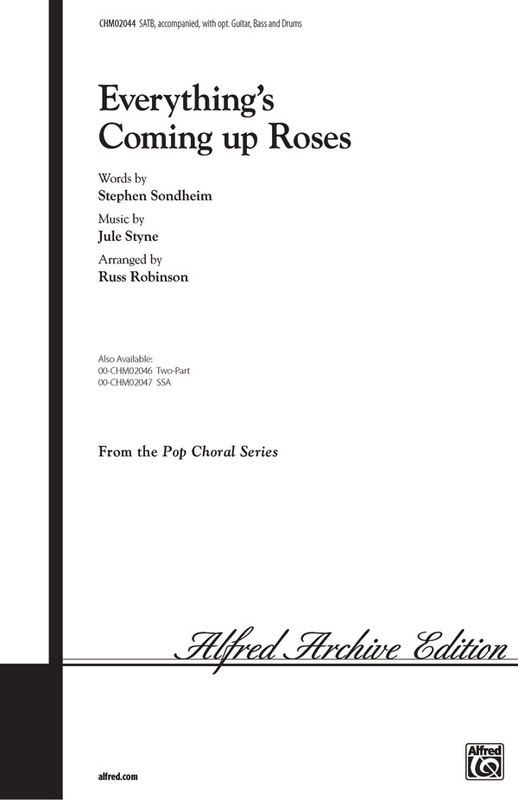 Great for spring and end-of-year concerts, or whenever you just want to say "music makes us friends." Choreography featured on "Razzamatazz!" DVD (item 00-27430).